The following is a statement made by the Departmental Assembly of the Peoples of Huehuetenango (ADH) on the International Day of Indigenous Peoples. For the original statement by the ADH, click here. Translation by NISGUA. FIRST: Since the Spanish invasion in 1524 we, the peoples of Huehuetenango, have lived through violence that we have resisted. 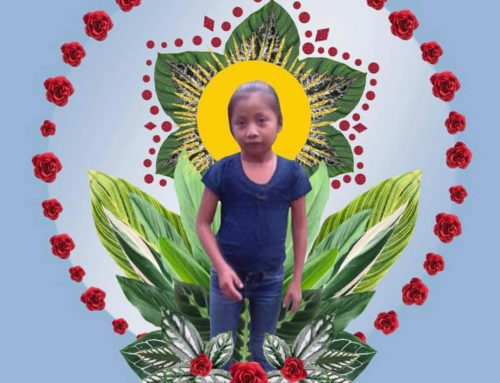 This violence has prohibited us from creating the conditions for our own development rooted in the cosmovision and philosophy of our peoples. We have been dispossessed of our lands and ways of seeing the world, of our culture, our mountains, our rivers, and our forests. 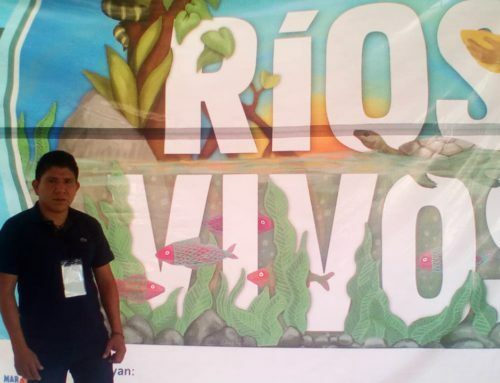 Right now, we are facing the threats of extractive projects like mining and hydroelectric dams that threaten the water – the sacred and essential liquid that preserves life. SECOND: The Peace Accords were signed in our country 20 years ago, and for us, the Accord on the Identity and Rights of Indigenous Peoples was the most important. In it, it outlines mechanisms and spaces for the participation of our peoples in community spaces, within local power, and democratic life in the country. THIRD: To the present day, the State of Guatemala continues to be patriarchal, monocultural, monolingual, corrupt, and racist. It continues to be led by a small group of traditional and emerging elites who are allied with military and organized crime structures that are looting the country. In the proposals we have made over the past 60 years for our Peoples, we have underscored the need for better conditions that allow them to exercise their rights, where life is respected, and they can defend the common interests in our territories. 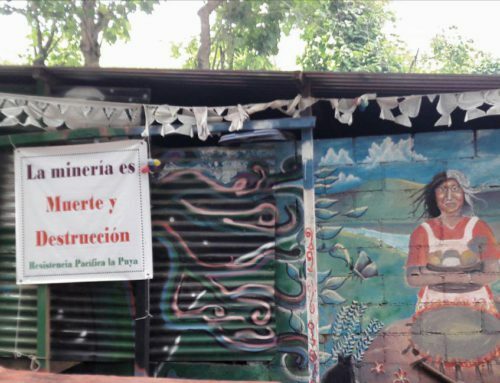 FOUR: The conflict generated over the past 11 years from granting mining and hydroelectric concessions in our territories by the Ministry of the Environment and Natural Resources and by the Ministry of Energy and Mines, without prior consultation with our peoples, has led to the political persecution, criminalization, and political imprisonment of defenders of Life and Territory. Respect for our own processes and proposals, given that historically, we have been excluded from the national agenda by governments and the State. 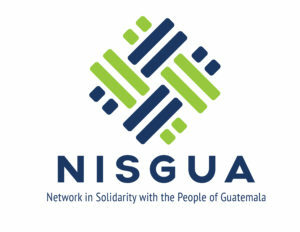 Concrete action taken by the State of Guatemala to counter discrimination, racism, patriarchy, colonialism, exploitation, exclusion, and all of the conditions that lead to the systematic violation of our rights. Bring to justice the former State officials who were recently indicted on charges of corruption, co-optation, and looting of the State, given that those who have been affected are the poor in the country. We demand that the State guarantee the safety of judges like Miguel Ángel Gálvez and Yasmin Barrios who, in carrying out their roles in an ethical way that abides by the law, have shown that not everything is lost for those who demand justice. That the Army and the National Civil Police, as well as private security agents, cease to repress and terrorize the communities in the region of Pojom and Ixquisis, in San Mateo Ixtatán. That the Army withdraw and that the police fulfill their role as guarantors of public safety. 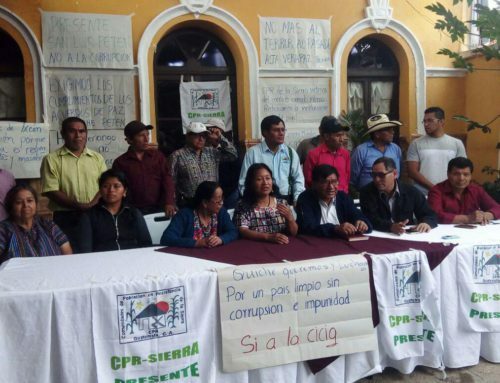 That the transnational companies stop looting the natural resources of Huehuetenango, particularly the companies who hold licenses to build hydroelectric dams in northern Huehuetenango, and that Goldcorp and other mining companies cease their expansion plans. 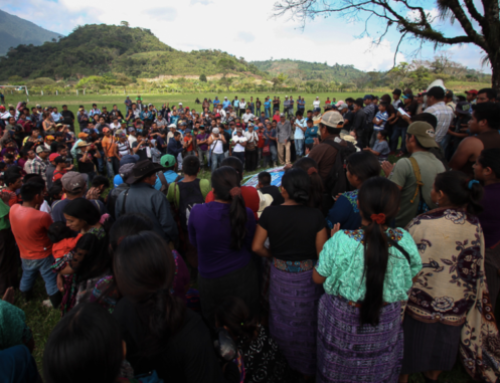 The annulment of all of the mining and hydroelectric licenses in the department of Huehuetenango, given that they have only led to the persecution, intimidation, and criminalization of men and women land defenders. Respect for all of our ways of political organizing, and respect for the sacred sites and Maya ceremonial places so that they stop being used as tourist attractions. The immediate freedom for the women and men land defenders from San Marcos who should not be incarcerated, but instead, be free to support their communities. We make a call to stand in solidarity with our brothers and sisters from San Marcos: María Maribel Díaz Gómez, Heriberto Evelio Santos López, Nery Edilmar Santos López, Simeón Mauricio Guzmán, Marco Tulio Pérez Pablo, Bruno Emilio Solís Pérez, Lorenzo Ramírez Rodríguez, Plutarco Irineo Clemente Pérez, Alfonso Chilel Hernández, and Fausto Sánchez Roblero. Finally, as the ADH, we share with the wives, the families, the communities, the collectives and other human rights organizations and individuals in expressing our deep joy at the release of Adalberto Villatoro, Francisco Juan, Arturo Pablo, Mynor López, Ermitaño López, Rigoberto Juárez, Domingo Baltazar, Saúl Méndez and Rogelio Velásquez. We always defended them and we will always stand in solidarity. For the ADH, the innocent verdict and the release of our compañeros represents a triumph for dignity, strength, and collective and community convictions in the face of an economic model that preys on nature and exploits human beings, and in light of a State that favors corruption, the accumulation of wealth, and a market over the right to life. Not one more political prisoner! Freedom for the women and men land defenders of our territories.